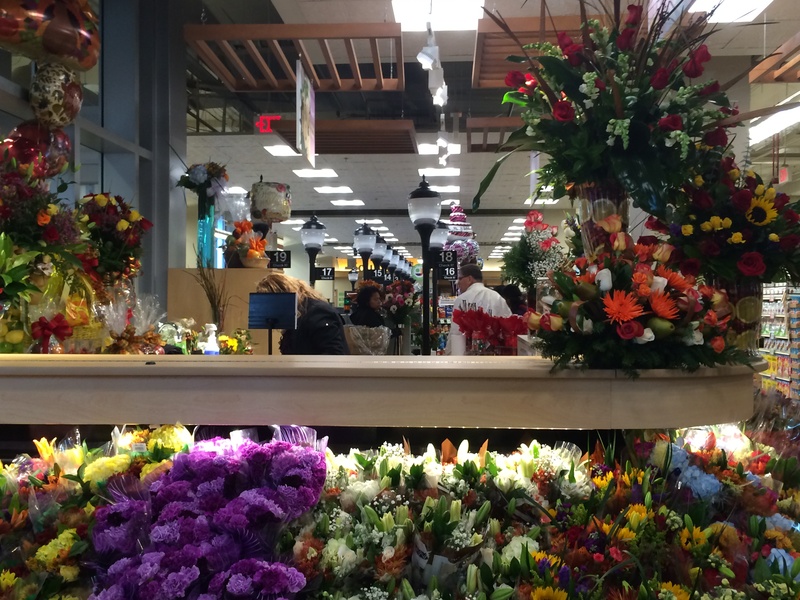 Big News for Shaw Food-Lovers! Big news in Tom Sietsema’s chat today for Shaw residents. 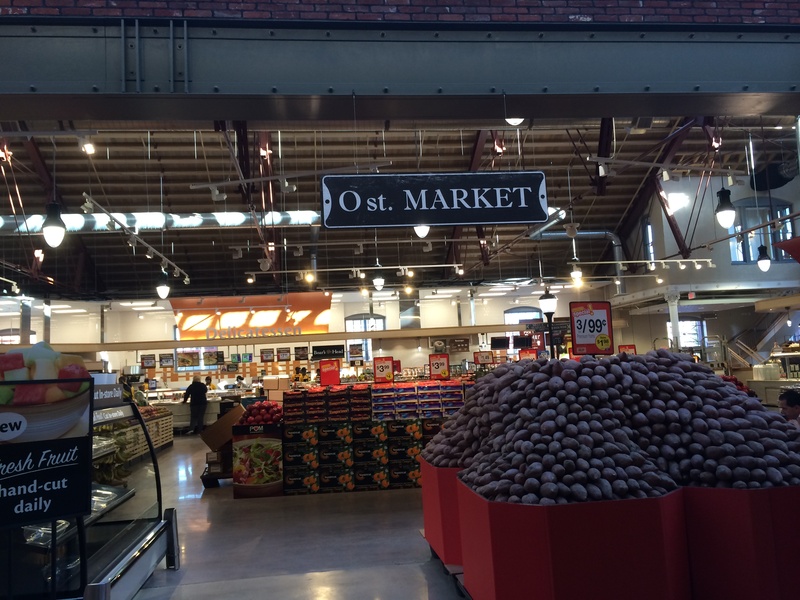 Mintwood Place’s chef and owner have signed a lease to open a restaurant at the City Market at O development. 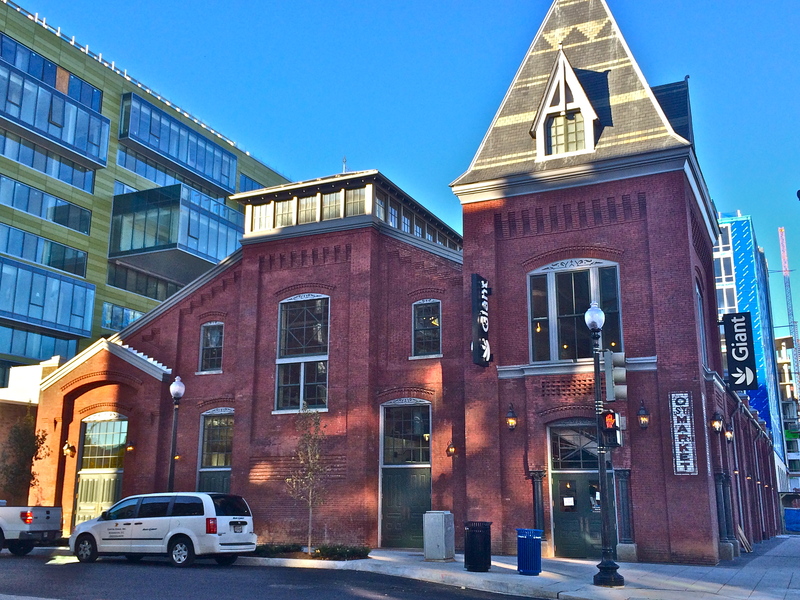 There is no name for the restaurant yet but it will be headed to 801 0 St. NW. Cedric Maupillier and Saied Azali will have a 120-seat dining room, and there will be similarities to their French leaning favorite, Mintwood Place. Maupillier tells Sietsema the restaurant will have smaller portions and lower prices, to appeal to a younger audience. It’ll be on the ground floor of a hotel and be open for breakfast, lunch and dinner (anearly 2015 opening is likely). Can You Keep Up with Shaw? Design by Cooper Carry and tvs design. 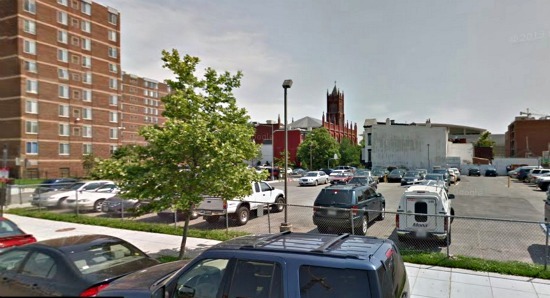 This just in: Starbucks has signed on to join the City Market at O development, making it the development’s third signed retailer (after Giant and Dolci Gelati). 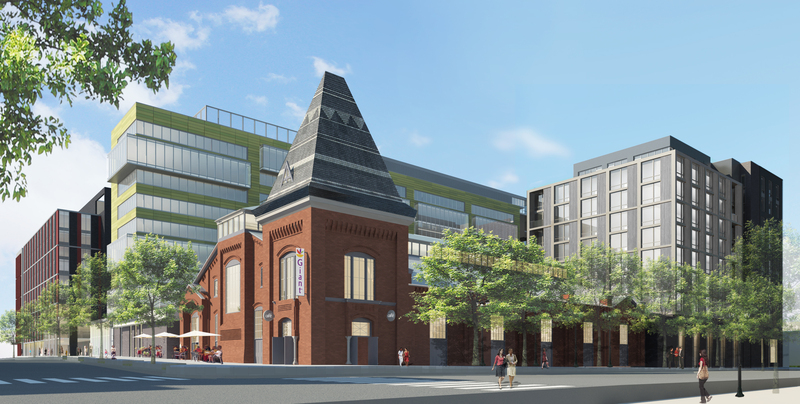 The ‘bucks will be opening this spring, and will occupy a 1,600 square-foot space on O Street between 8th and 9th, located underneath the future Cambria Suites Hotel (which will also be opening in spring). Yay? The historic market’s facade was maintained, making this one of the prettiest Giants I’ve ever seen (from the outside, at least). Inside, skylights and a formerly-exterior-now-interior brick wall mark where the historic space ends and the new construction begins. The place is huge. HUGE. 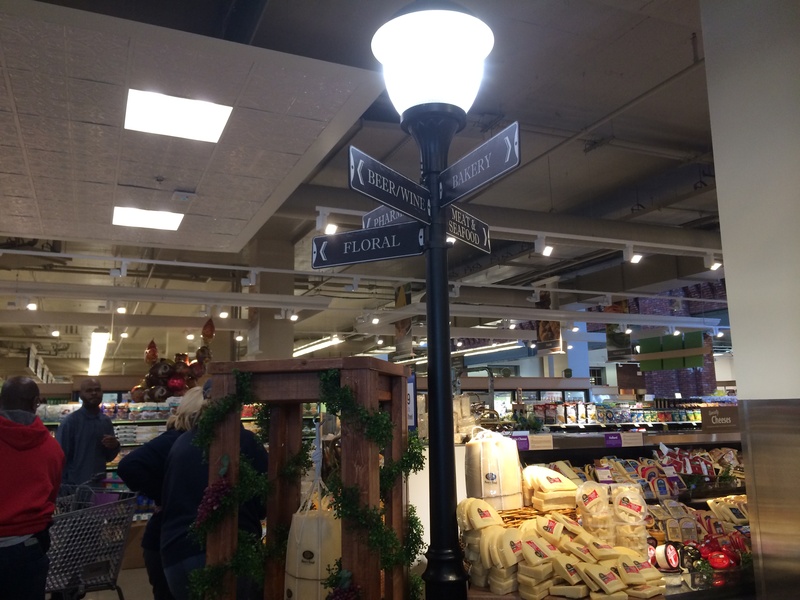 Adorable aesthetic touches like these streetlamps with “street signs” pointing you to the store’s various sections are scattered throughout the store. 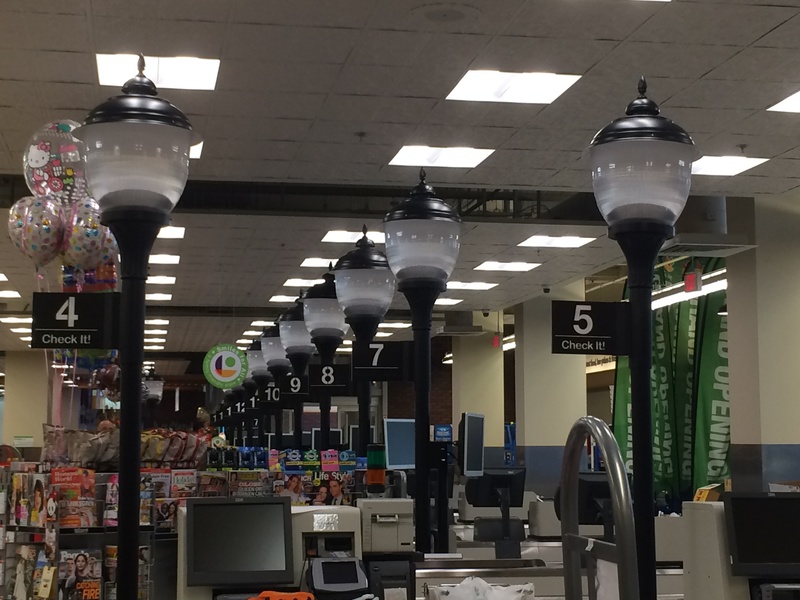 The historic-looking street lamps also adorn the checkout lanes instead of the typical boring lights. 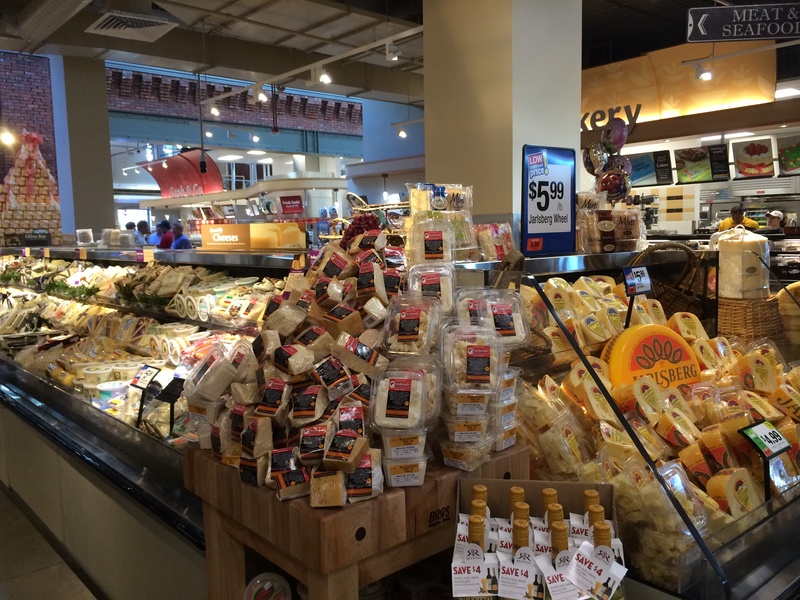 The biggest cheese section of any Giant, complete with a tasting table (not pictured) that will offer samples daily. View from the upstairs cafe space. Did I mention this store is HUGE? (Nerd Alert) The extra space apparently means extra-detailed signs, which I LOVE. 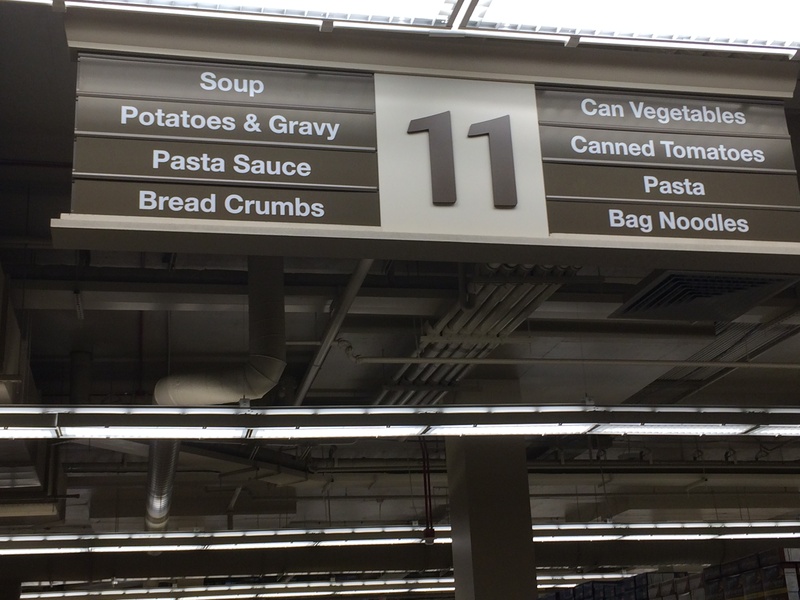 For instance, check out the last item on the left side of the aisle 11 sign below. I NEVER know where to find the breadcrumbs at the store! It’s the little things in life, people. 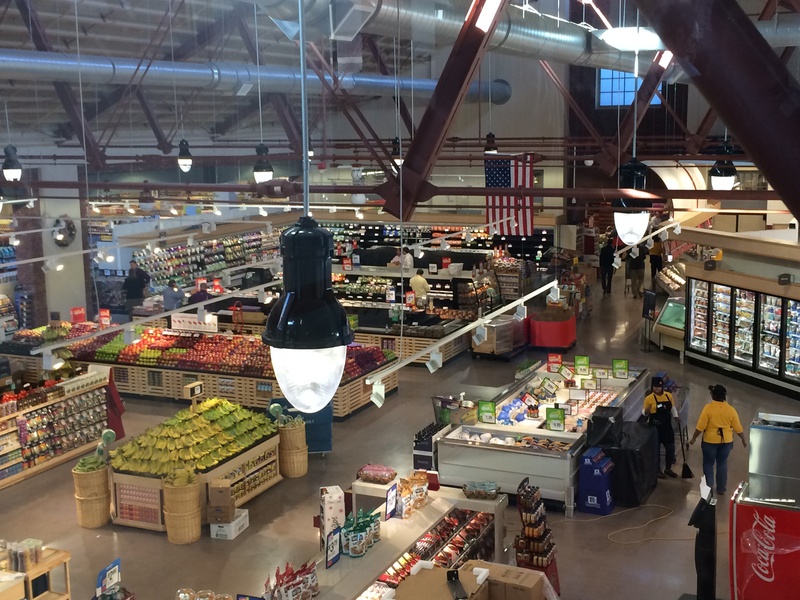 This Giant also has the largest “natural foods” section of any Giant store. Mostly this is them pushing their “Nature’s Promise” brand, but there really is a very wide selection of “natural” foods, frozen and dry. I didn’t have time to ask what the definition of “natural” is though. Honestly, aside from some nice aesthetic touches, some prepared food options (pizza, sandwiches, and sushi prepared on-site), and a space to sit and eat, this is pretty much a normal Giant – aside from being extra huge, of course. 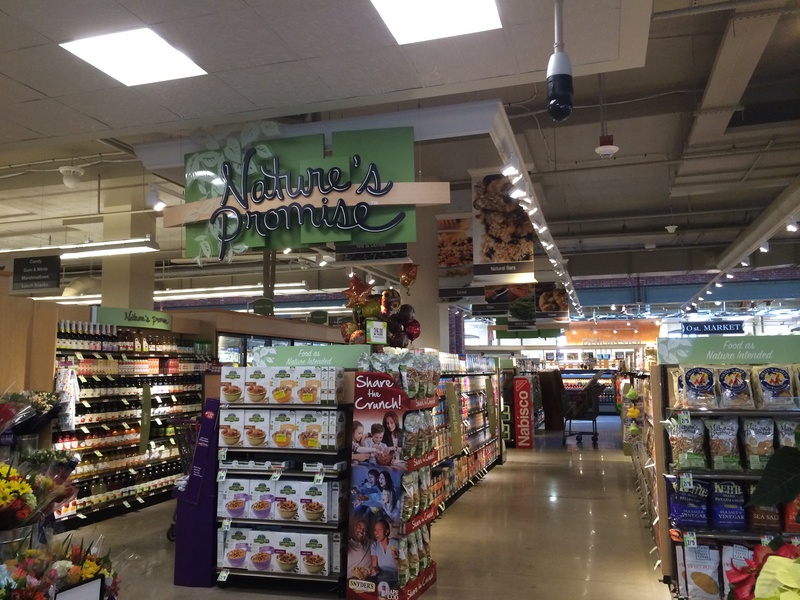 But it looks like the hugeness is mostly packed with additional grocery options (so you have 20 different types of chicken broth to choose from instead of 10.) I do enjoy what they did with the outer facade though, and the effort they went to to maintain as much of the original building as they could. My question is whether the neighborhood is actually dense enough to support a store this large. I guess we’ll see!